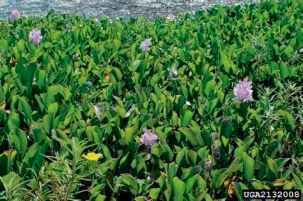 Figure 2 Waterhyacinth (Eichhornia crassipes [Mart.] solms) has invaded water bodies throughout the tropics and subtropics, causing great ecological and economic damage. Photo Courtesy of Chris Evans; Forestryimages.org. 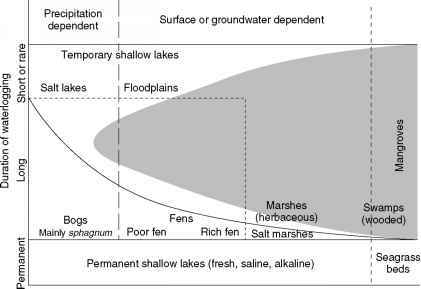 fisheries (the mats impede the launching of boats and the use of nets) and to water and hydroelectric power works. Ecologically, the weed threatened one of evolution's great est products - a radiation of some 200-400 species of endemic cichlid fishes. These fish, often separated by mating habits based on female color preference, were threatened by hybridization among species induced by low light under weed mats, where color based visual recognition mating systems could not be sustained. Control efforts recommended to the governments of the affected countries (Uganda, Kenya, and Tanzania) included herbiciding the mats, use of harvester boats to cut the mats, and release of specialized herbivorous insects. Two weevils, Neochetina eichhorniae Warner and N. bruchi Hustache, known to be specialists on waterhya cinth from earlier work in Florida, were chosen for release. In 1995, Uganda was first to release biological control insects against the weed, followed by the other two countries in 1997. On the Ugandan shore, weed mats began to show damage from herbivory by late 1998. By 1999 some 75% of the mats had died and sunk into the lake. This project illustrates the power of classical biological control to provide control of invasive species damaging large natural systems without the recurrent costs of mechanical control or the pollution of pesticides.